Content is king and the distribution of said content is your key to success. 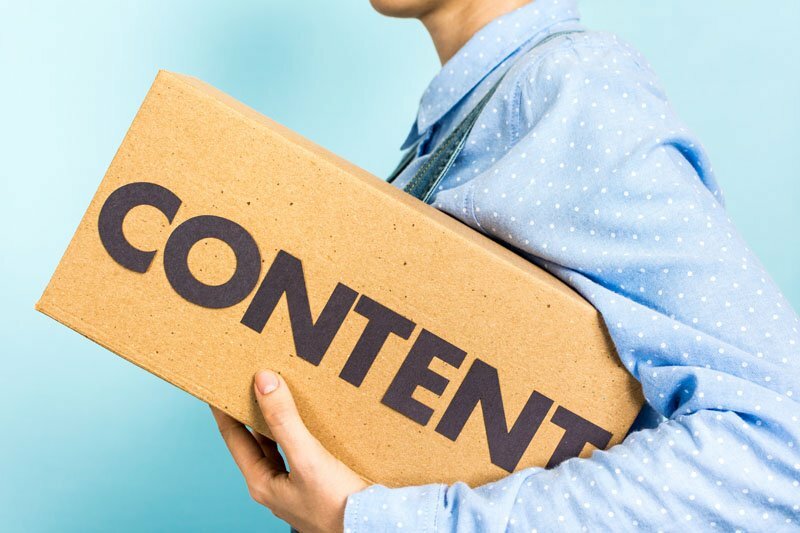 In this article, we are going to discuss some of the easy ways to distribute your content that go beyond social media and Google search engine marketing. Buzzsumo is a search tool to track the sort of content being shared across the web. This is an ideal way to find out what people are most interested in at any given time. It goes further than topic and tracks the most influential content creators online. There’s little point in having high-quality content if you aren’t attracting the readers to indulge in said content. Outbrain solves this problem by placing your best content on major websites that are proven to bring in large amounts of traffic. It’s a clever distribution tool that places your content where people can see it. Your content will be classified as ‘sponsored content’. Classifying it in this way will take advantage of an algorithm that allows targeting of readers who are interested in this specific content. Mailchimp is one of the most popular mailing platforms in the world. It’s free to use unless you go above a certain number of subscribers, or you want to take advantage of their additional automation features. Contrary to what some commentators say, email newsletters remain an extremely powerful way to connect with readers. Mailchimp is easily accessible because it comes with a range of pre-made landing pages. All you have to do is fill in the forms. The number of social media platforms you need to target is often so high that you don’t have a chance of ever dedicating enough time to each one. Buffer will allow you to schedule and publish pieces of content on multiple platforms at the click of a button. To use it, setup your posts and select the social media platforms you want to utilize. Buffer will do the rest, ensuring that you have reliable and efficient content distribution online. You may not want to distribute content exclusively through social media, but there’s no reason why you can’t encourage other people to do so. Click to Tweet is an awesome way to encourage organic sharing and promotion. At the click of a button, you can form a tweetable link in order to highlight the critical information within your content. All someone has to do is click that link and they can share it via Twitter organically. Now you can share via social media without ever going anywhere near social media. When you want someone to act in a certain way online you have to make it simple for him or her. If they have to go through a multi-step process, the chances are they aren’t going to do it. AddThis is a tool that allows users to share content without leaving the page they’re reading. The program also provides data on what people are sharing, where they are sharing it to, and how many people are sharing your content. Using this information, you can reduce your bounce rates and drive more traffic to your website. Storify makes it easy to create stories based on viral posts shared through social media. It always makes sense to tap into social media because it shows what people are most interested in right now. The tool works by gathering the most interesting posts and compiling them into content you can repurpose and use for yourself. Along with the benefits brought to content creation, it’s a fantastic way to always be aware of what’s popular on social media. 100 of the top video sites. This works best for companies that want make their content distribution strategies a tad more formal. ARC is flexible, so you can also update content and resubmit to all the various locations you did before without any hassle. KnownHost shared cloud can often work best for you! Content distribution is about finding the places that don’t immediately spring to mind. It’s also about generating the content to distribute in the first place. Once you are all out of ideas, these tools will help you to come up with new content that aligns with the latest social media trends, while also guaranteeing a certain amount of direct consumer interaction. Whenever you use these tools, make sure you track your results to see what works and what doesn’t. Sometimes it can take some time to get things right. Some of the greatest mainstream news outlets availanle also have excellent technology news departments, as well. bee very tough to keep pace with alll the generation coming ahead. tim? and effort to put this informative article together. into my pocket over the years. The conversation from a cuustomer service employee and a customdr have to be in a very clean way. You may be directed to a page to obtain your classes after ordering and obtain an e mail with hyperlinks. Asking questions are really good thing if you are not understanding something totally, except this post gives nice understanding yet.